We made the drive toward the southern part of the Willamette Valley to visit Illahe. (ILL-a-he) We were staying in Newburg and took the opportunity to get up early and drive south through the Eola-Amity Hills and then down to Salem. In Salem we made a stop along the Willamette River at Minto-Brown Island Park for a little morning hiking and to see the river. We headed back across the river and along Rt. 22 to Rickreall and then south and west to Illahe Vineyards. This area is Southwest of the Eola-Amity Hills AVA. The area has a proposal in to become a new AVA which would be the Mt. Pisgah/Polk County AVA. Illahe is one of nine vineyards that would be located in this new AVA. 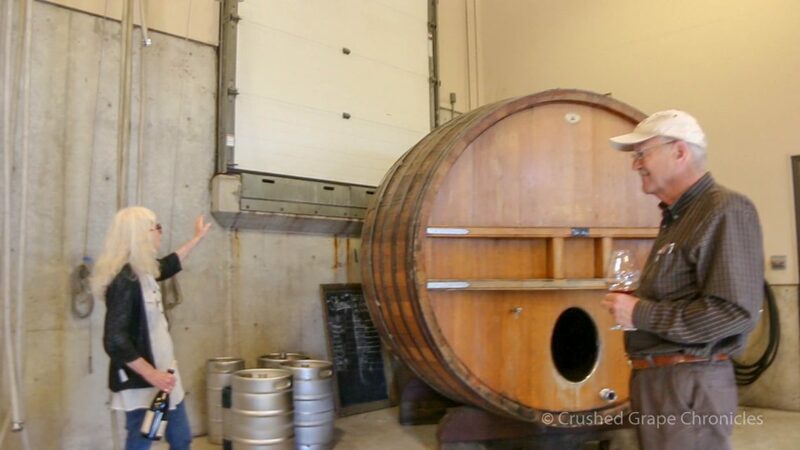 We talked with Kathy Greysmith, until Lowell Ford the owner and grape grower arrived and then we had a conversation about how things got started and some of the reasons for their philosophy and direction they chose with their Winery. This is the primer for the next 4 Video’s. Geek out with us. 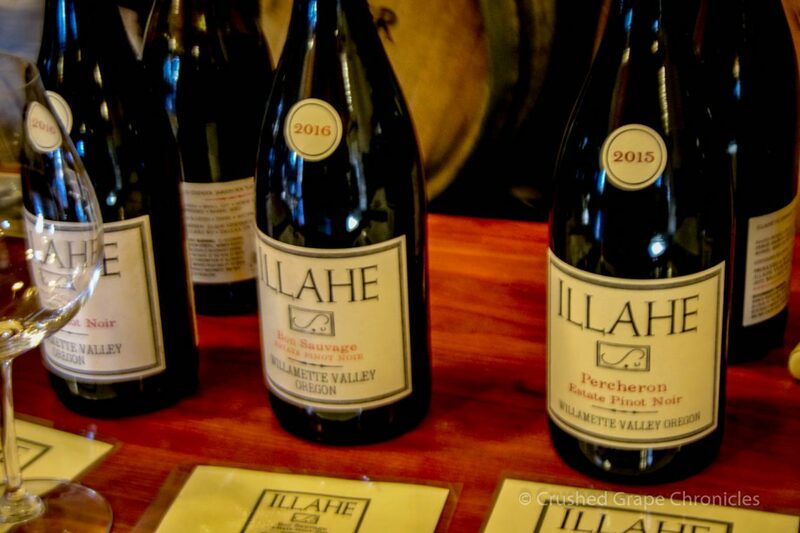 Take a listen as we talk with Kathy Greysmith and Lowell Ford, discussing Illahe Wines. Illahe is a small family based winery. Lowell Ford is the owner and grape grower along with his wife Pauline, his son Brad is the winemaker and Brad’s wife, Bethany, deals with the marketing and National Sales, so it really is a family affair. They have an Associate Winemaker, Nathan and Cellar Master Howard and then Kathy. Kathy Greysmith, who was our contact, is their tasting room manager and deals with sales, membership and whatever other office work comes up. They all wear many hats. There It’s a labor of love that makes for some great wine. Soil types here are different from Dundee, side by side tastings will tell you that. The climate is a little different also as they are further south. The terroir expresses itself in those differences. When they initially planted, they took the time to experiment in the vineyard, to see what would do best. One of their early experimentation was with Grüner Veltliner and many of the different whites from Germany to see how they did. The Grüner was the star of the bunch. Grüner Veltliner is mostly grown in Austria, they think of it as an “autochthonous” grape in the region. (that’s a big old technical term for grapes that are almost exclusively the result of a mutation or cross breeding in a specific area, that also have a long history in that area). It is thought to be a crossing between Traminer and possibly St. Georgen, both grapes that are indigenous to Austria. While most believe it expresses itself best in Austria, I can tell you that it is creating beautiful wine here at Illahe in Oregon. The wine gives you crisp apple, stone fruit and then some herbal qualities from being partially fermented in acacia barrels. It, like all their white wines is a very reasonable $19 per bottle and you can find it here. Back in the fall we asked Brad for a winter pairing with this wine and he suggested a Soupe aux choux (cabbage soup) You can read about that pairing with the link below. They also planted Lagrein, Teraldego and Schioppettino wines from the base of the alps in Italy. All three are growing well in their “little Italy” block. They felt it important to experiment and will likely continue. With Climate change you can’t move the vineyard, so you have to hedge your bets and look to varietals that may do better as the conditions in the vineyard change. We have heard this before. If you read our piece on Montinore, you will know that they are also growing Lagrein and Teraldego. Experimenting with these Italian varieties for much the same reason. 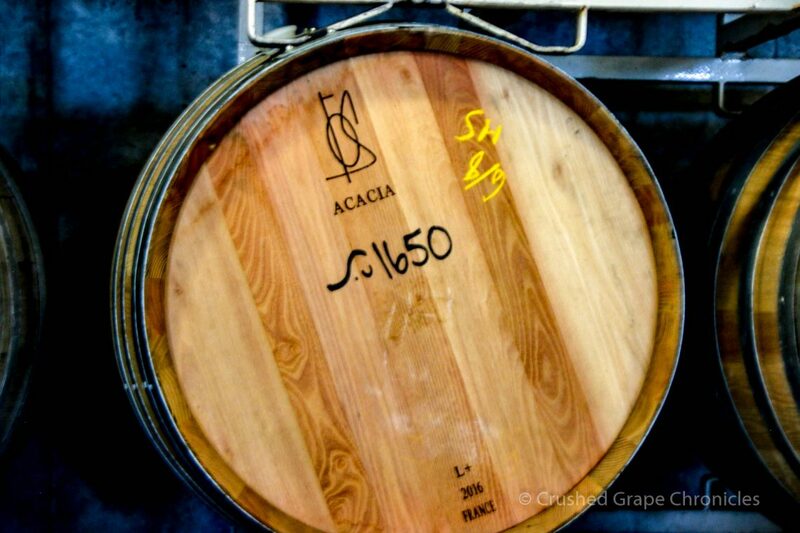 We spoke with Rudy Marchesi about this at the end of our Barrel Tasting with him at Montinore. The Hobbit Barrel as Kathy calls it at Illahe. We talk about their Tempranillo Rose which sells out annually. We only get to talk about it, we don’t get to taste it. Released on Valentines Day, it sells out by Memorial Day. Every year they increase their production, and every year they still sell out by Memorial Day. Lowell had planned to be a grower. He thought he would have a vineyard not a winery. He would grow the grapes and in the off season he and his wife would travel. Brad changed all that. But…at least he did it wisely. As they planted the vineyard, every tenth row, every 20th plant, Brad kept detailed records on for 3 years. This included pruning, weights, brix, blossom time…very detailed. They found the sweet spots in the vineyard. The Percheron block…that was the sweet spot. This block also happened to be next to where originally Lowell had planted his riesling. So, sadly the Riesling made way for the Pinot Noir. This block is typically their earliest ripening. You will find clones 777, Wadenswil 2 and Swan. Continue with us as we head out front to view the vineyard and talk about some of the growing practices. A true family winery in one of our very favourite regions. We can’t wait to visit this winery in person–thank you for the introduction! This sounds like another wonderful winery! Enjoying this series of visits to Oregon wineries.